Education Details : M.Tech (2015), B.Tech (2012) Computer Science & Engg. Sister's Details : 1. 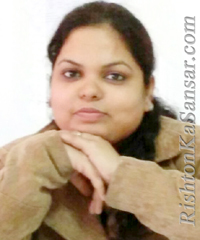 Shuchita Srivastava, M.Sc, B.Ed (Married) Brother Inj Law: Mayank Srivastava, Manager In Sales, Transis Location: Lucknow Sister Detail 2. Saumya Srivastava, M.Sc, B.Ed (Married) Brother In Law: Vivek Kumar Srivastava, Manager Sap Practices, Infodart Technologies Location: Delhi Ncr.